There are many mobile companies in the world.But HTC is one of the best smartphone companies. Because, over 63% people like this smartphone brands. HTC every smartphone is quality standard. So that every year increase their smartphone rankings. But, this best smartphone sometimes create some problems. The problems are mobile device hang, face lock, forgot user code and most common problem pattern lock. Can not blame you for such problems mobile device management solutions team. Because, these problems are our fault. Perhaps you think that how to it is our mistake. Yes, that is the point, Sometimes we are using our mobile phones ‍some of lock such as Pattern lock. The lock system is 5-8 times if you’re with the wrong Patron, your phone will be pattern lock. Do not worry there is a solution to every problem ‍and the solution is devicereset.com. Here you get all type smartphone problems solution tips. Today we’ll show you Top Smartphone HTC One mini 2 Reset Methods. See below our important tips and reset methods. A soft reset is a very simple and easiest process to reset HTC One mini 2. If you use soft resetting method you won’t lost any data from your cell phone.This process doesn’t solve any major problem, but it helps to solve a minor problem. Turn on HTC One mini 2 smartphone and touch the menu button and go to setting menu. 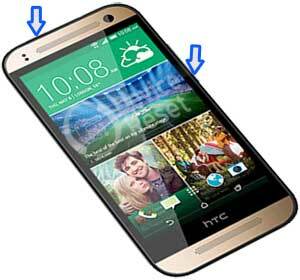 Turn off you new smartphone HTC One mini 2 and remove all SIM card or SD card. After pressing the button you can see in your mobile screen recovery mode, then release all pressing key. Now scroll down Using VOL DOWN key and select Factory reset and press POWER KEY to confirm.